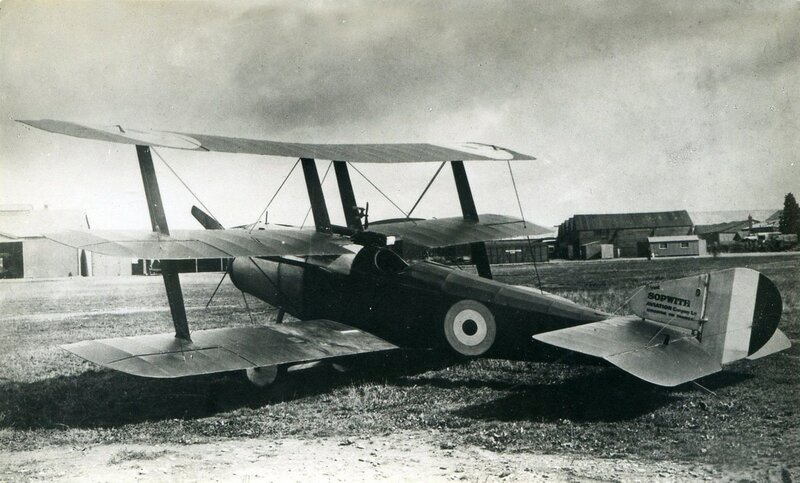 ﻿The passion to Recreate WW1 flying Sopwith Triplanes of the Royal Naval Air Service. 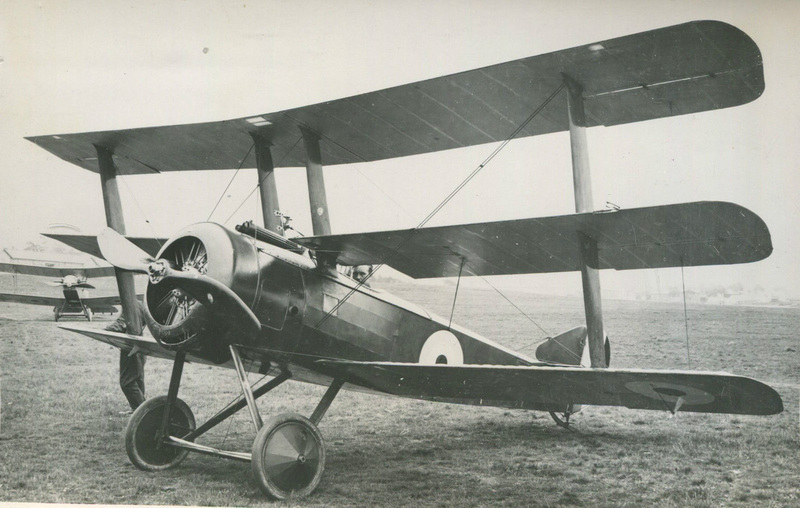 This website is dedicate to the creation of the Sopwith Triplanes of Black Flight and the people who will make it happen through their dedication and skill..
How to be part of it ? 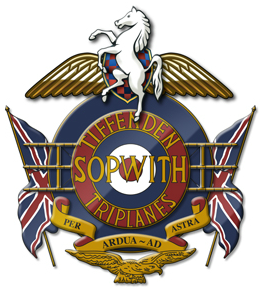 The Tiffenden Triplanes logo is derived from the original Sopwith Aircraft Company logo and the White horse of Kent 'Invicta'. It also features the motto of the Royal Naval Air Service and RAF and the Union Flag and the wing profile of a Sopwith Triplane. If you can be part of the project please contact us here. 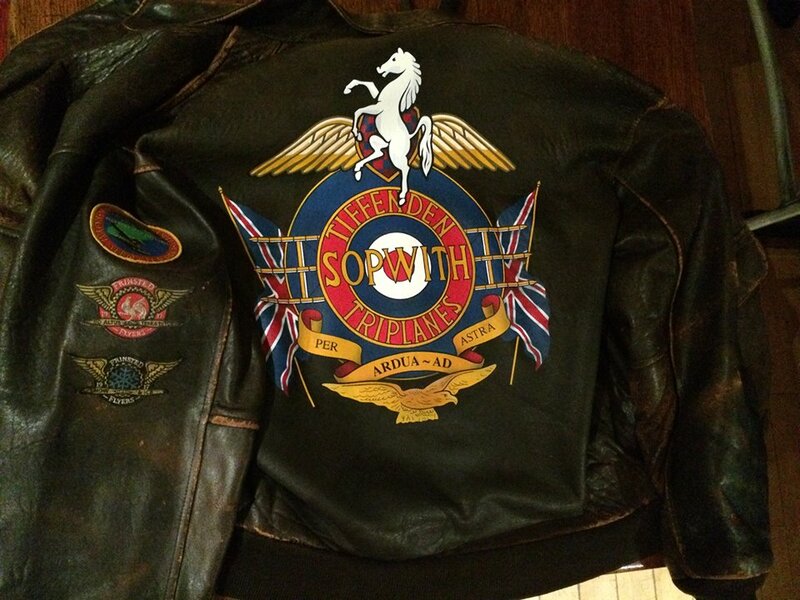 Tiffenden Triplanes Flying Jacket Painted by Jo of Aerograffiti. G - BWRA The Sopwith Triplane of Gordon Brander of The Great War Display Team flies with him at the controls at Sywell 2014. The distinctive 3 wing configuration is clear from this angle. This aircraft is powered by a Warner Scarab.